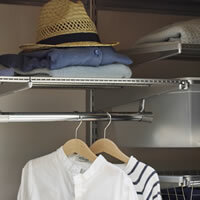 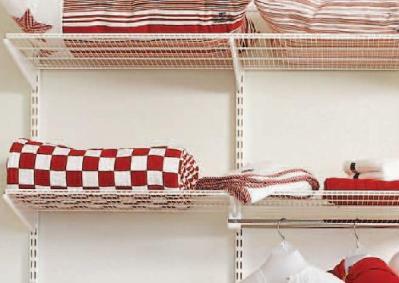 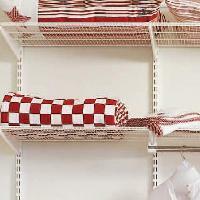 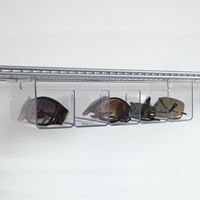 Our ventilated shelves are ideal for wardrobe interiors, pantry shelving or airing cupboards as they allow air to circulate around the items your storing. 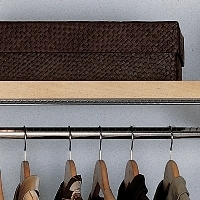 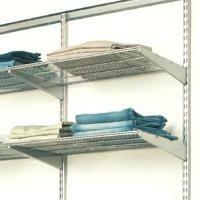 For a perfect fit, our elfa shelves can be easily cut to size. 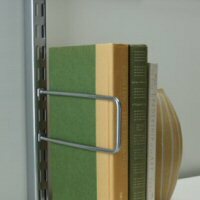 Each shelf is powder coated and for a stylish bookshelf, our elfa shelving can be edged with a fascia of either solid birch or walnut. 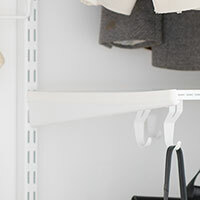 Bookends are also available.